Independent News & Media has announced a brand new video games expo for Ireland. 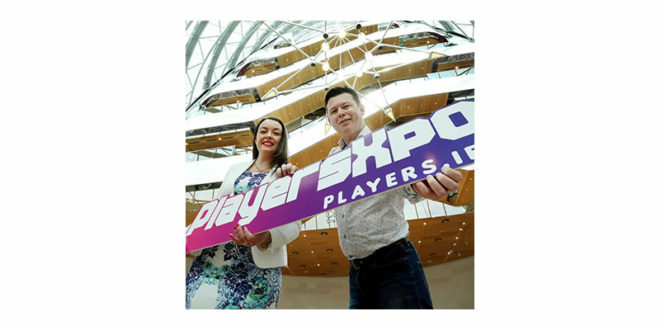 PlayersXpo will take place at the Convention Centre Dublin on Saturday October 28th and Sunday 29th and vows to be the biggest show of its kind the country has ever seen. 20,000 visitors are expected across the weekend. Mick Finucane is the event’s creative director and will be a recognisable name to MCV readers – he was the co-founder of GameStop Ireland, and has some 23 years of industry experience. The event will boast 4,500 square metres of exhibition space, as well as a 2,000 seat auditorium. Attendees will be able to challenge YouTube celebrities and try plenty of unreleased console titles. INM sponsorship and events manager Cliona Carroll added: "INM launched the first games page in a National Paper in 1994, back when Ireland sold more PlayStations per head of population than anywhere else in the world, so we know games and we know gaming – it’s in our DNA. Tickets are priced from €25.00 and can be purchased on the official website.